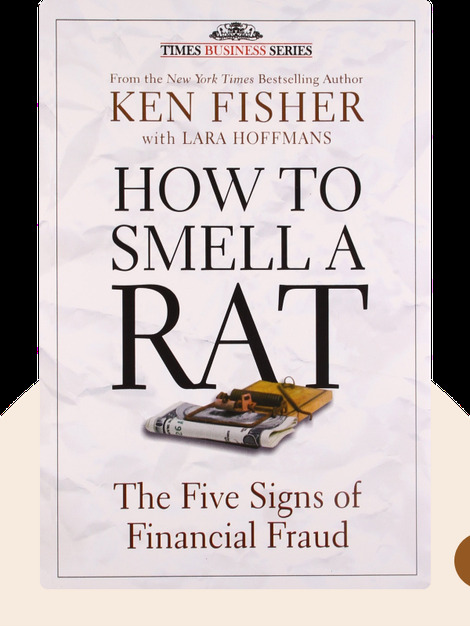 How to Smell a Rat gives you the tools you need to avoid becoming the victim of financial fraud. It catalogs legendary fraudsters’ favorite tricks. Ken Fisher is the founder, CEO and Chairman of the global money management firm Fisher Investments as well as the author of a number of New York Times bestsellers, including The Only Three Questions That Count and The Ten Roads to Riches. In addition, he has written the famous Forbes Portfolio Strategy column for the last 25 years. Lara Hoffmans is a contributing author to Fisher’s bestsellers, and is also a content manager at Fisher Investments and a contributing editor for MarketMinder.com. 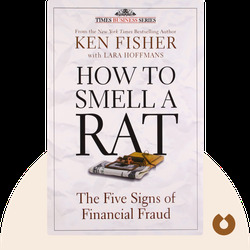 © [Kenneth Fisher and Lara Hoffmans: How to Smell a Rat] copyright , John Wiley & Sons [Inc. or Ltd. as applicable] Used by permission of John Wiley & Sons [Inc. or Ltd. as applicable] and shall not be made available to any unauthorized third parties.